Over this past Christmas break, my family went to England on vacation and one of the sights we saw was Battle Abbey and the fields at Battle where King Harold fell to William the Conqueror in 1066. On the plane ride home, I read Carol McGrath’s transportive novel, The Handfasted Wife. This was the story of Harold’s first wife Edith (Elditha) Swanneck. 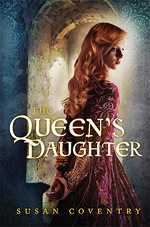 It is first rate historical fiction and I recommend it highly. I’ve been waiting for McGrath’s follow-up novel, which was recently released. Harold’s defeat, his young sons scattered to various foreign courts while the noble ladies (wives, widows, daughters, mothers) took refuge in convents. Gunnhild was brought up in Wilton Abbey. The church is anxious to keep her there, to keep hold of the lands that were once her mother’s and might, conceivably come to her as an inheritance. However, Gunnhild has no calling and dreams of escaping. An opportunity arises from an unlikely corner. Count Alan, a powerful knight from Brittany, an enemy of her father who once courted her very beautiful and wealthy mother, appears with a proposal and a plan. He wants her to elope with him. There are definite risks. It will anger the church and most likely the king, who has not given the count approval for the politically risky wedding. But Count Alan has always been a strong supporter of the king and believes his continuing loyalty will win over the king in the end. Gunnhild is desperate enough to agree. They elope. He whisks her off to Brittany, wooing her along the way. She is taken with him. At first. Until reality begins to set in. The more she learns about her husband, the more she questions his reasons for wedding her. He wants her lands. He wants an heir. But does he love her? She wants to be loved–and that is something he has no time or inclination to provide. Gunnhild is the lady of the castle. She is the one who presides while her husband is off serving the king during his never-ending wars. She grows into her role, finding her strength and power within the confines of her own domain, a subtle rebellion against the husband who wants complete control. Again, McGrath has brought to life a forgotten woman from a distant time and place. Facts from this period may be sparse, particularly facts about women, but the author uses what information is known to weave an emotionally gripping love story and very satisfying tale. 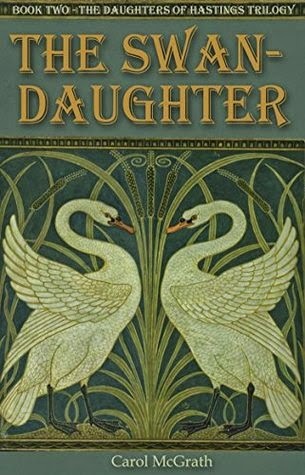 The Swan-Daughter is book two of The Daughters of Hastings trilogy, so now I’m eagerly awaiting book three. 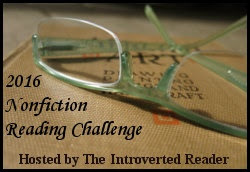 This is my 17th book for the Historical Fiction Challenge hosted by Historical Tapestry. Disclaimer: I received a free copy from Netgalley. This did not affect my review. My most recent read is a beautifully written historical novel that imagines the life of the loyal nurse in Shakespeare’s Romeo and Juliet. Although the nurse doesn’t spring to mind as one of the major characters in the play, she does have an influential role. 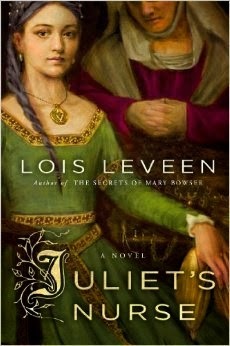 In Juliet’s Nurse by Lois Leveen, the nurse, Angelica, takes center stage. The story is set in the plague-ridden city of Verona in the mid-1300s. Angelica is a woman nearing middle-age who lives in a poor part of town with her beloved Pietro, a bee-keeper and confectioner. A warm and loving couple, they’d begun raising six boys together but lost them all in a week to the plague. As the story opens, Angelica is giving birth to a surprise, a daughter she had not realized she’d conceived. But the couple’s joy turns quickly to despair. Pietro rushes the baby off to be baptized, and returns with the sorrowful news that the baby is dead. In an effort to soothe his wife’s grief, Pietro arranges to contract her as a wetnurse to the wealthy and powerful Cappelletti family. Here is where the story truly begins. Angelica becomes "Nurse" to the baby Juliet. In this household, we meet the Cappellittis, including Tybalt, Juliet’s cousin, who first presents as a charming young boy who is able to help ease Angelica’s isolation from the world. We watch Juliet grow up in a wealthy but dysfunctional home, embraced by the love of her father, her Nurse, her cousin, and the beekeeper who sneaks in to visit. And we also get a wonderful sense of the violent, vibrant city of Verona. Growing up within that city are all of the Cappellitti’s enemies, including the Montecchis, their most bitter foes. Nurse also watches as the nephews of the prince, Mercutio and Paris, develop over time. So the stage is set for what we know is to come, but it is so richly set that it helps the whirlwind to come make more sense. Juliet’s Nurse is a lush, full story that gives each of the characters a fully developed personality. We know what’s going to happen when Juliet meets Romeo. It’s still tragic. The whole desperately in love after five minutes of chitchat at a party still seems a bit ridiculous. And it remains a bit frustrating that the adults in the room, like Juliet’s nurse, seem to be complicit in bringing about the tragic end rather than being able to find a way to prevent it. But it’s possible to see how Angelica is backed into a corner by her own experiences with love and what she believes she wants for Juliet. The beauty of this novel is that the focus is not so much on the teenage lovers as it is on the long-suffering Angelica. Lois Leveen has made this minor character into a star. Juliet’s Nurse will be available on 9/23/14. It can be pre-ordered now. 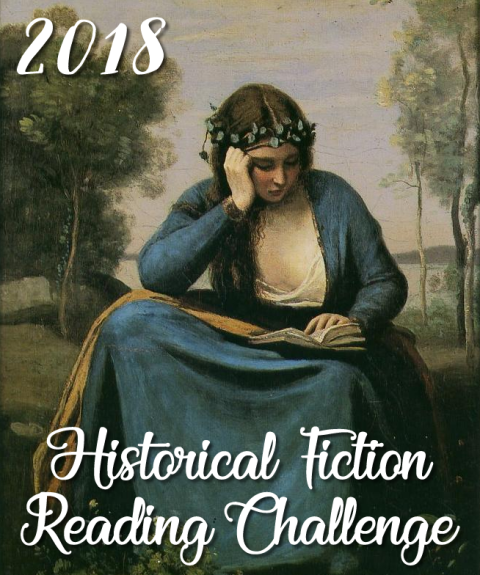 This is my 16th historical novel for the Historical Novel Challenge hosted by Historical Tapestry. 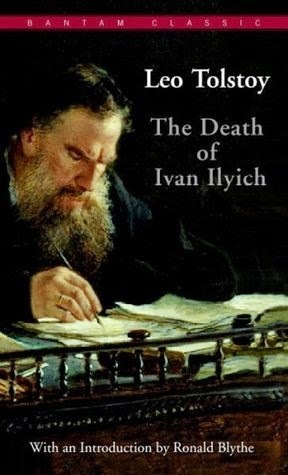 I’ve completed my Classic in Translation for the Back to the Classics Challenge: The Death of Ivan Ilyich by Leo Tolstoy. I confess that one reason I picked this book is because it’s short. (My copy is 113 pages, including the introduction.) But it’s also supposed to be "one of the world’s supreme masterpieces on the subject of death and dying." Ivan lives for his career and little else. He marries because it is what men in his station should do. He and his wife quickly discover their incompatibility and proceed to make each other miserable. He’s able to bury himself in his work. He likes to have things and to play whist. Then, he buys a new house and during the redecoration process, he injures himself. It seems minor at first, but then he starts to sicken. He grows sicker and sicker. Although in denial at first, it soon becomes clear he is dying. The death is agonizing and terrifying. Ivan becomes more and more unpleasant, furious with everyone and with himself. Eventually bedridden, reflecting on his life, he sees how badly he has lived, that his life has been wasted. This is a pretty bleak book. Ivan is very real in his distress. His bitterness makes him a rather unsympathetic character, and yet, it’s difficult not to pity him because he is so hopeless. Ultimately, Ivan must accept his fate. The story becomes redemptive and Ivan finds a way to let go and die in peace. It’s a fascinating study of the way we live, look at life, and die. 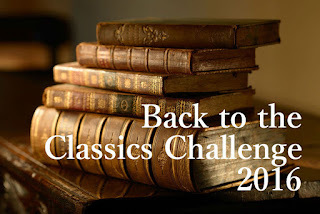 Most of my classics challenge books are also TBR pile challenge books because I have a stack of classics I’ve been holding onto for years. 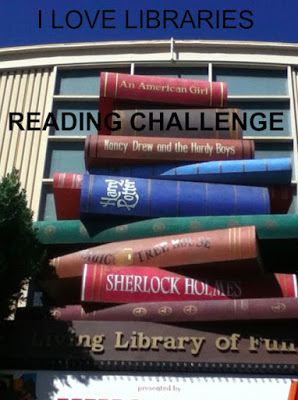 So, this is another double challenge book. This is Freshman orientation week for my daughter at college. A whole new life phase has begun. I’ve been wallowing in nostalgia lately, and one piece of that was a mental tabulation of the literary journey I’ve taken with my kids. Because of them, I revisited so many favorites from my own youth and discovered kids' classics I hadn’t gotten around to or known about, as well as a wealth of new children’s literature. It saddens me to think how much of that has trailed off. I still read YA, but not as much as I used to. And I never read middle grade fiction anymore. 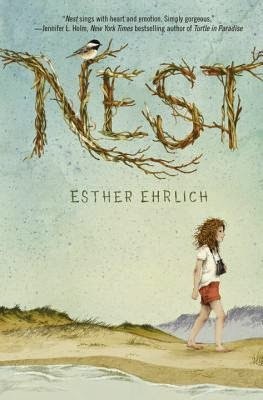 So it was fortuitous to see Nest by Esther Ehrlich as a Netgalley offering. I thought, why not? And then I devoured it in a sitting. Nest is the story of Naomi (Chirp) Orenstein and her neighbor, Joey, two eleven-year-olds with big problems. Chirp’s tight-knit family is on the verge of rupture by her mother’s impending diagnosis of multiple sclerosis and depression. Her father, a psychiatrist, cannot cure his beloved wife’s ills, and has difficulty dealing with a truculent thirteen-year-old daughter (Rachel, Chirp’s sister) and the sensitive Chirp. Chirp’s lifeline is her friend, Joey, a good kid who’s been dealt a bad hand. He lives next door. His older brothers are bullies, behavior learned from an abusive father. Chirp knows something isn’t right in Joey’s family but doesn’t know what. There are secrets in everyone’s families. This is a lovely book. It’s a bit dark and might be too heavy for children on the younger end of the targeted age group, though it is certainly appropriate for older tweens. The writing is superb so it is a perfect book for strong readers in that age range who are moving beyond the simplistic. Naomi has an endearing voice and the author also captures the frightened, rebellious voice of the 13-year-old sister perfectly. Joey is heartbreakingly real. If you are fortunate enough to have a tween reader in your life at this stage, one who enjoys contemporary novels, Nest is due out September 9. DISCLAIMER: I received a free review copy from Netgalley. This did not affect my review.